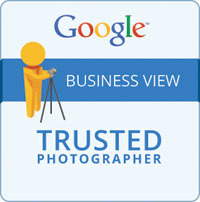 As from today Google Business Photos has been re branded as Google Business View. All is the same just a new name and a new logo, all the great Google Business photos virtual tour benefits stay the same. If you want to see how Google Business View could benefit your business then please get in touch or see our case studies page. Google Business View Manchester Goes Paintballing !! Hillendale Jaguar Bolton harnesses the power of Google Business View Google Business View Manchester Goes Paintballing ! !